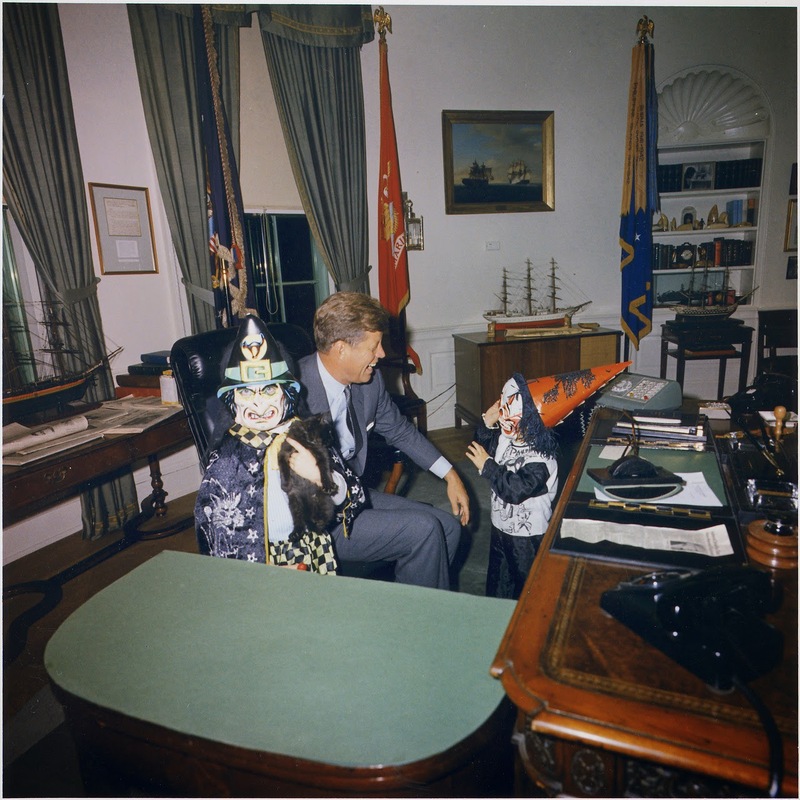 Here are a few John F. Kennedy pictures that I have come across in my wanderings that you may not have seen. 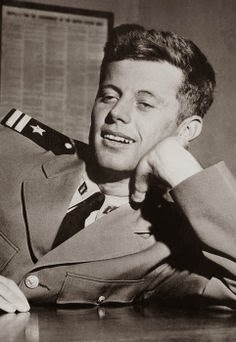 Everybody loves John F. Kennedy. Well, pretty much everybody. I don't think I've ever met anyone who didn't. 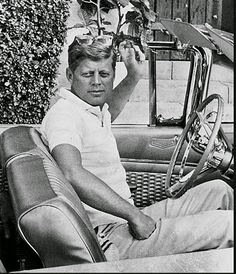 Some folks may disagree with his specific actions or particular policies, but the man himself inspires enduring respect. 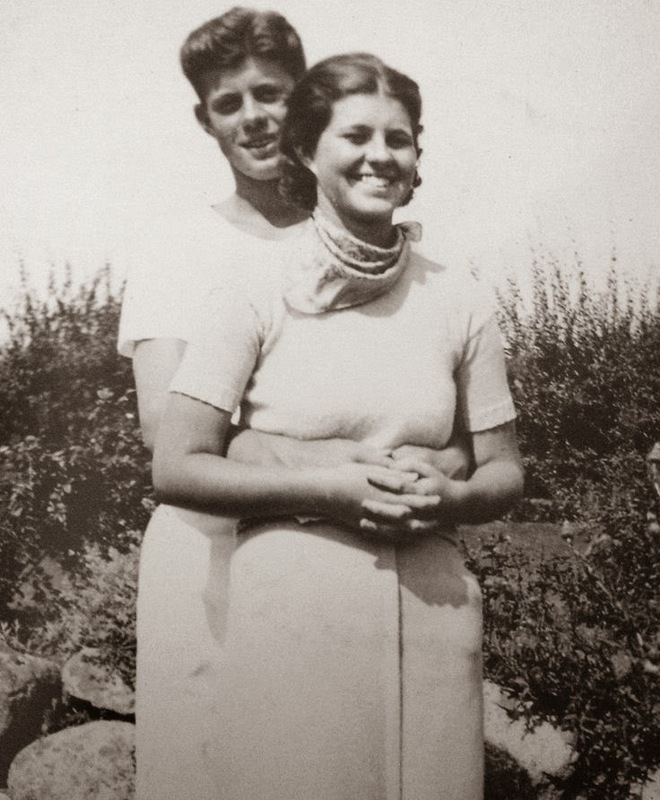 If anyone is interested in the story of Rosemary Kennedy, please look it up. It is absolutely tragic and unforgivable and I have no desire to write about it for that reason, because among other things it is difficult to shade the right way without making certain people either look like monsters or seem less culpable than they were. However, let's let that lie: here we have a beautiful picture of Rosemary and John together while they still could be. 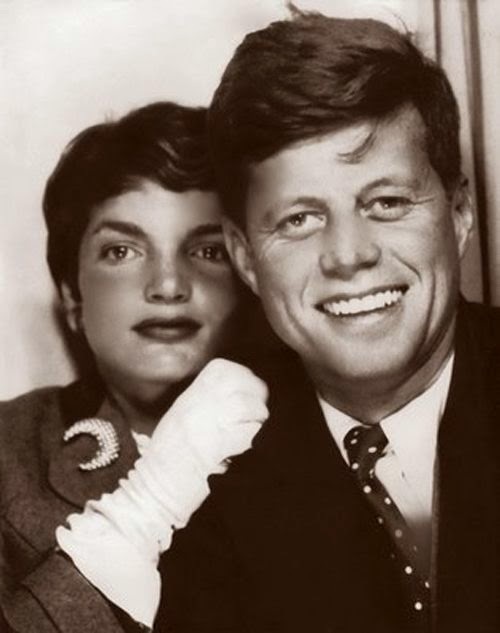 JFK fans should remember that he had a wonderful sister, Rosemary, whom he loved, and that they made a beautiful pair. 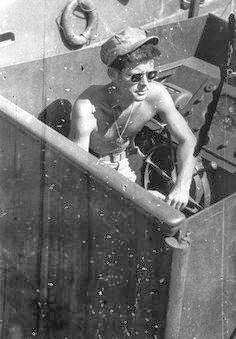 This is a terrific picture and deserves to be seen by those who respect John. The Rosemary situation was not publicized by the family for obvious reasons, so all sorts of horrible rumors flew about it. The truth was bad enough and was even worse than some of the rumors. This picture survives and tells its own story, an important story, and here it shall stand alone. 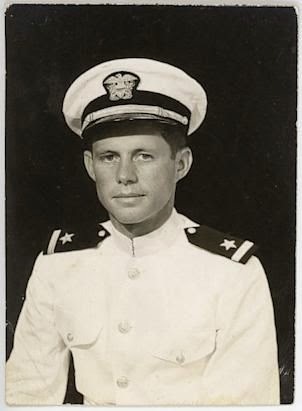 JFK became a Lieutenant in the US Navy, a Senator, and U.S. President. 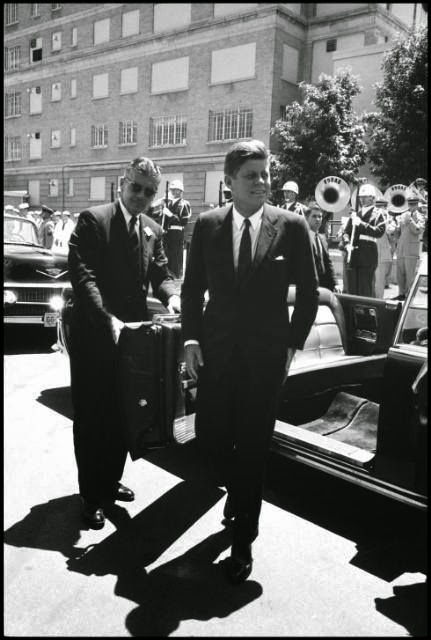 One does not have to be of any particular party or political persuasion to admire John F. Kennedy for all the things that he accomplished in his life. 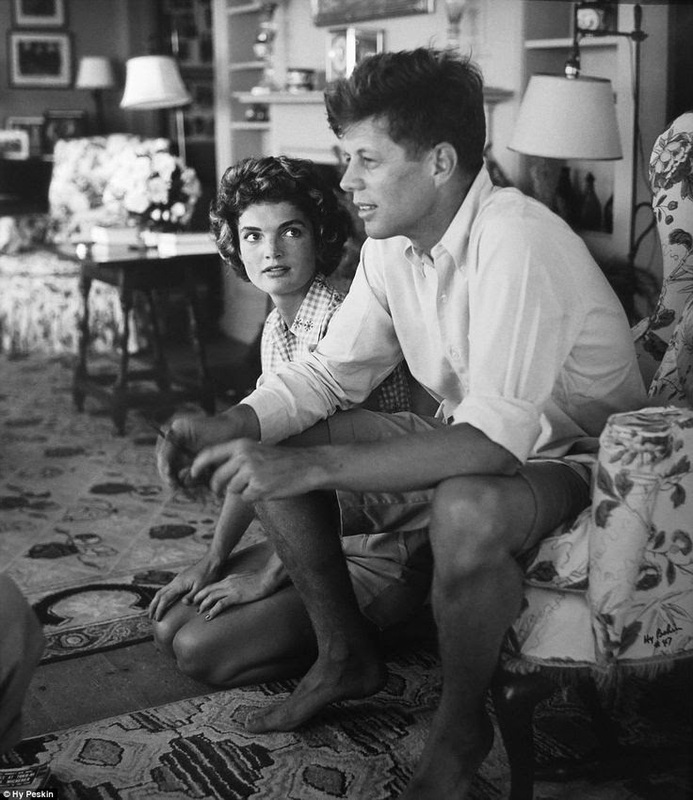 JFK and Jackie, maybe the early 1950s? A standard photobooth shot. 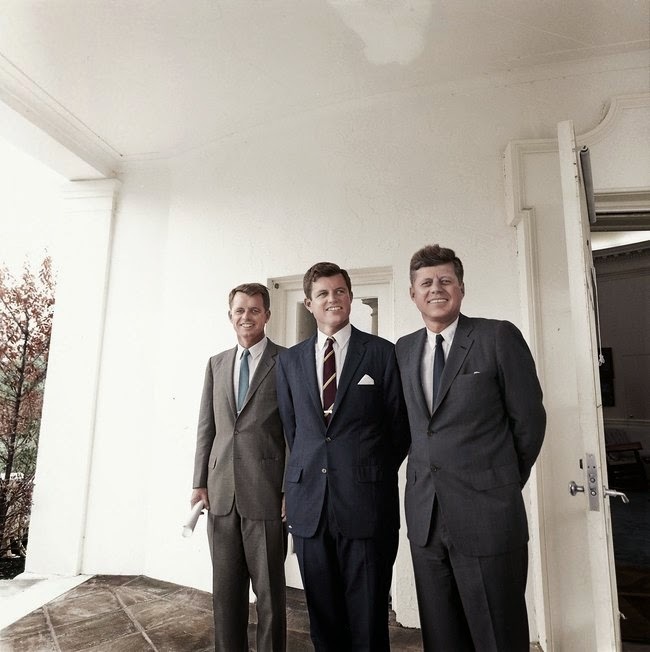 Brothers Robert Kennedy, Edward "Ted" Kennedy, and John F. Kennedy outside the Oval Office. If you are wondering, "Why haven't I seen this one before," it is because you may have - but not like this. This was recently colorized. 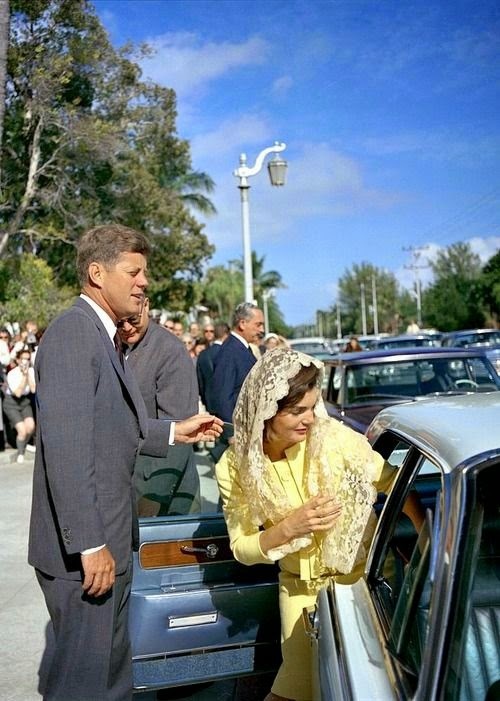 Not sure when this was, probably after attending Church either during or just before the Presidency. 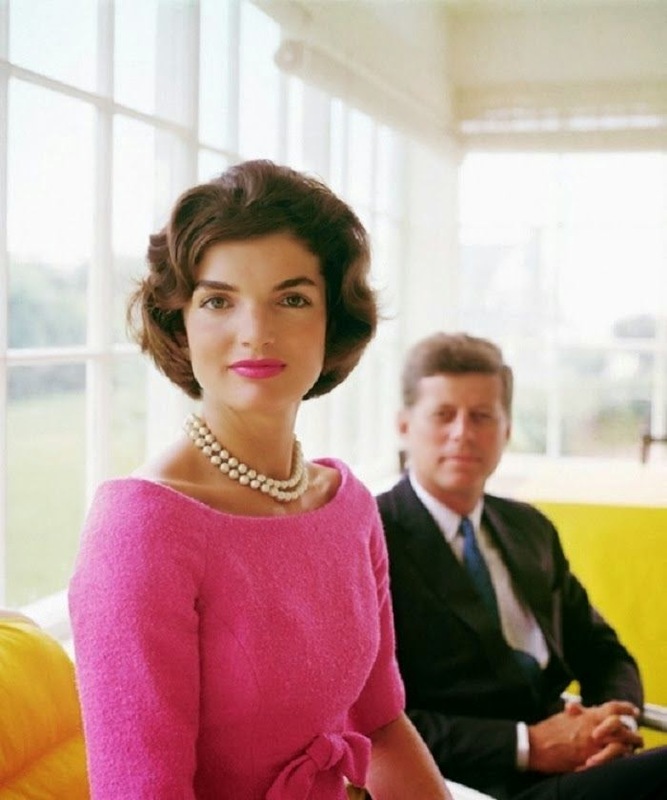 John and Jackie, looking stunning as usual. 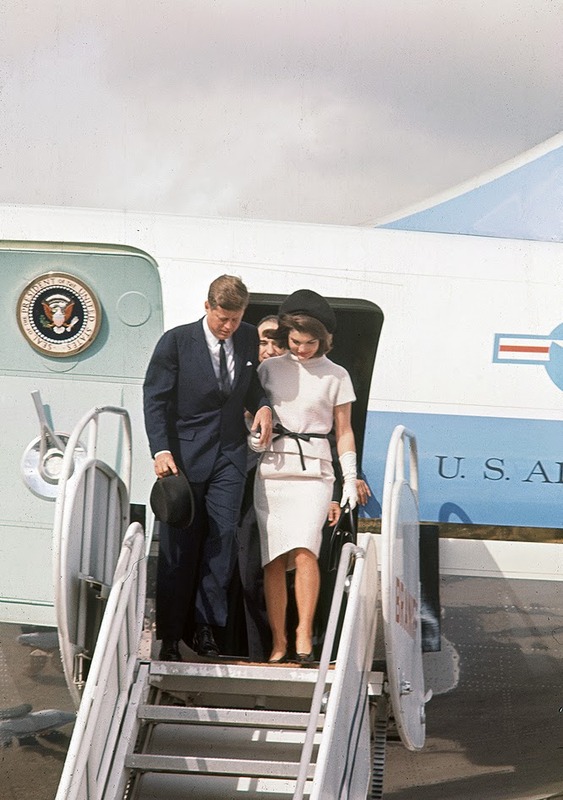 Perhaps the best-dressed First Lady of all time. 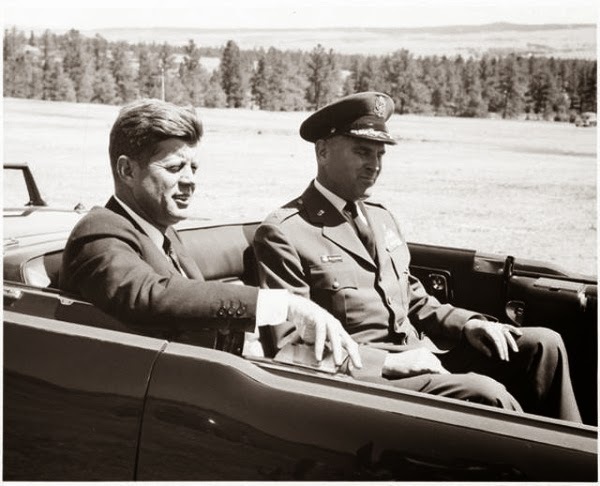 JFK driving to the Air Force Academy in Colorado Springs. 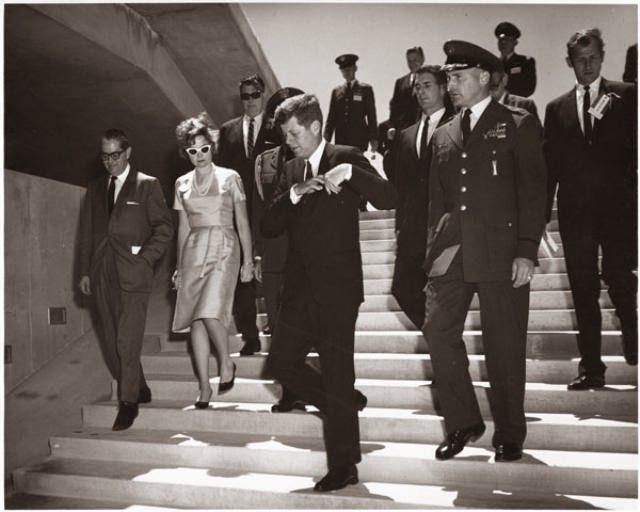 That is probably the Commandant of the Academy beside him, where Jackie normally would sit. 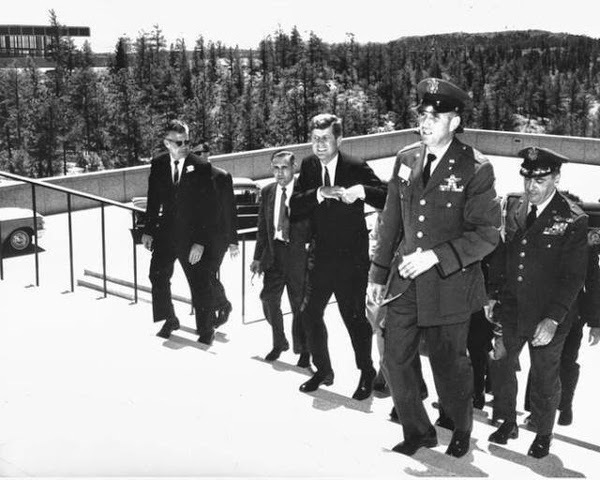 JFK in Colorado Springs June 1963. Note the brass band and... the open convertible. 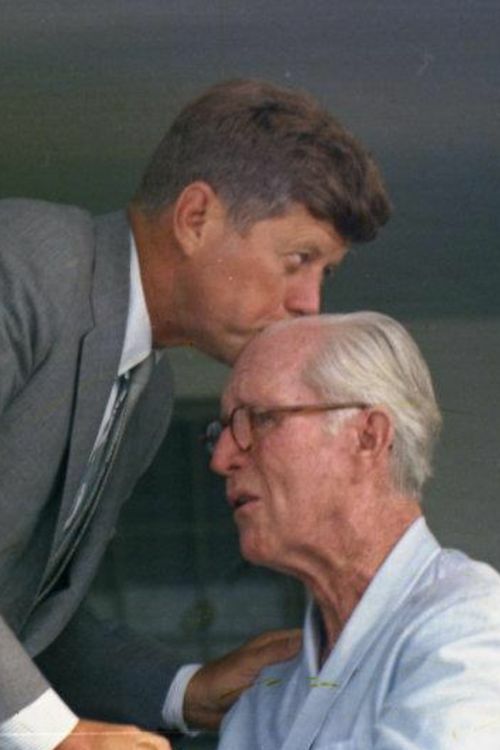 This is the last time JFK saw his father,in fact he kissed him once and walked away,then he did something he had never done before,he turned around came back and kissed him again.